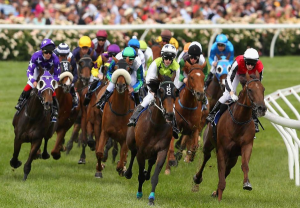 Melbourne Cup tips update - Best Australian Horse Racing Tips - Sydney & Melbourne | Rosehill, Golden Slipper, Royal Randwick Races. The Racing week comes alive with our Melbourne Cup tips 2018 race day and our Melbourne Racing tips will be focused not only on the big Melbourne Cup but also the other 9 races on the card with our form analyst Pete Brinky with all the form and ratings in our expert Melbourne Cup racing tips. The Melbourne Cup is Australia’s most famous horse race and our Melbourne Racing tips week race 7 of Tuesday racing at Flemington racecourse for Cup Day on a massive 10 race card. To deliver a winning result in Melbourne Cup tips requires significant time and energy especially on the many overseas horses and our resident analyst Pete Brinky delivers expert Melbourne Cup racing tips a comprehensive overview in selecting his top 5 chances from all the lead up races in Australia and overseas form. Go to Melbourne Spring Racing Carnival and follow the prompts to join. The Melbourne Cup tips betting market moved markedly after the barrier draw with favourite Yucatan drawing barrier 23 and a move from $4.50 to $6.50 in the market but the powerful win of this horse in the Herbert Power will see it remain unchallenged as favorite and jockey James McDonald will look to take a position with cover from the wide barrier. The next lines of betting between $8.50 and $15 in betting has seven highly rated overseas horses with the James Cummings trained Avilius the one with the most interest given its eight runs and a win streak of four locally in Sydney and will no doubt be well supported in Melbourne Cup tips betting. Of the overseas horses Magic Circle is the big shortener into second line of betting. Youngstar is the local Chris Waller trained runner that will have strong interest in Melbournre Cup tips betting and at $17 is well in the market on the back of her brilliant Turnball Stakes second to Winx and this four year old mare ran home nicely recently in the Caulfield Cup. Runners such as Rostropovich, A Prince of Yarran, Finche and Ventura Storm have all entered the Melbourne Racing tips betting market of recent times as we now see thirteen runners, over half the field, $26 and under making it an extraordinarily competitive field. Our man Pete Brinky has run the form over all runners in our expert Melbourne Cup racing tips and form sheets and tips will be out Monday, the day before Melbourne Cup tips day and our late mail out early morning on the big day of racing that is the Melbourne Cup Racing tips week. The Melbourne Cup tips Racing week then moves onto Oaks Day Thursday and and then Stakes Day on Saturday.